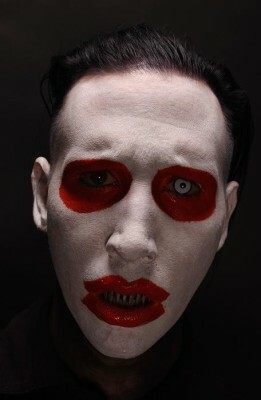 36-year-old Mason, who was born as Brian Warner married his 33-year-old girlfriend Heather Sweet, who goes by the stage name of Dita Von Teese at midnight in front of a select gathering of 60 guests at the home of a friend, Austrian artist Gottfried Helnwein, at Castle de La Poer in County Tipperary, the report said. LOS ANGELES - Shock rocker Marilyn Manson has wed his girlfriend of four years, Dita Von Teese in a non-denominational ceremony in Ireland, People magazine reported on its Web site. Dita Von Teese is a burlesque dancer and began dating Mason about four years ago. He proposed in March last year and she is reported to have accepted. Mason, who is an American citizen, is known for his brusque lyrics that have irked many. He has also attracted a lot of controversy courtesy his provocative behavior specifically in the late 1990s. This is the first marriage for both Mason and Dita. It is reported that the wedding took place in the gothic style castle in an unusual setting. Mason was clad in a black silk taffeta tuxedo designed by John Galliano, while Dita Von Teese wore a royal purple silk taffeta with a corset that was created by Vivienne Westwood. People reported that underground Chilean filmmaker Alejandro Jodorowsky, who is a very close friend of Mason, conducted the wedding. Mason had said in October on MTV News that he wanted the wedding to be a small but memorable event, "I wasn't looking to just have some sort of exploit out of it — I wanted it to be meaningful and something to remember. But the remembering part's going to be hard, because you're supposed to get drunk." He added that there was to be no bachelor party since Dita had apparently nixed the idea.